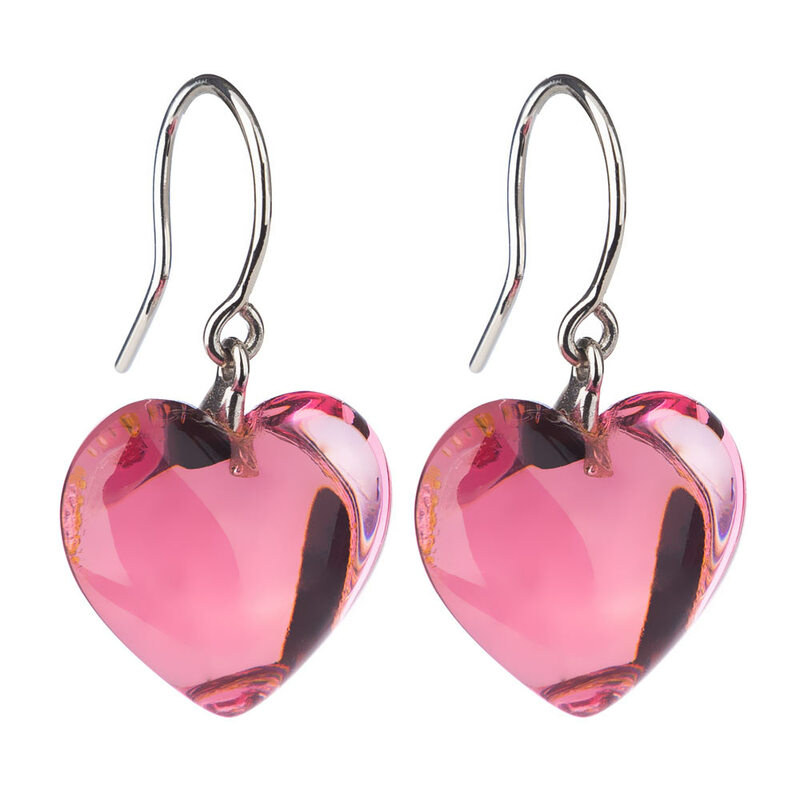 Romantic and feminine, Baccarat’s Baby Heart Pink Crystal Earrings will cast their spell over your ensemble. Sparkling in pink crystal, which has been expertly sculpted into an elegant heart and suspended from a silver hook, each earring in the pair exudes an old-world charm that is not of this century. Crafted from heart-shaped pink crystal. Earrings are suspended on silver hooks. Back of each earring is engraved with the Baccarat name. Beautifully presented as a pair in a Baccarat gift box.